Update: Since writing this blog, we’ve grown EkoLakay’s household toilet service and our waste treatment site capacity. As of 2017, we’re transforming more than 50 metric tons of waste into lush, organic compost each and every month. 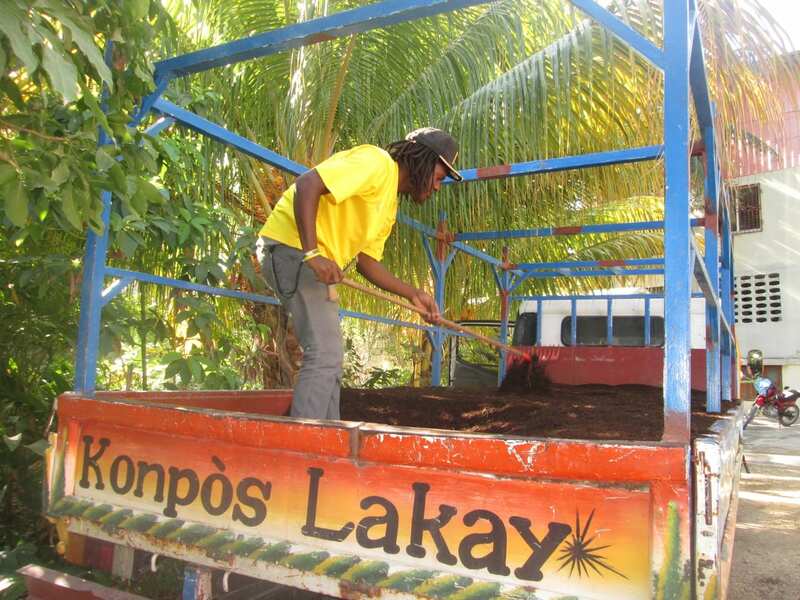 If you’re interested in learning more, or if you live in Haiti and you’d like to purchase our compost, please visit this page. In our last update, we were celebrating doubling our capacity at the waste treatment site in North Haiti We’re continuing to build even more capacity, but today we’re celebrating something else: SOIL is sold out of compost!! SOIL has sold about 60 tons of compost so far this year, and it’s not over yet. Who’s buying it? Small farmers, backyard gardeners, community garden and reforestation projects, large businesses and organizations, and agricultural enterprises. We’ve sold one bag at a time and we’ve sold 8,000 bags at a time. We’ve sold truckloads all over the country. Some of our biggest sales have been to Heineken, the Food and Agriculture Organization of the United Nations, the St. Luke Foundation, and Meds & Foods for Kids. 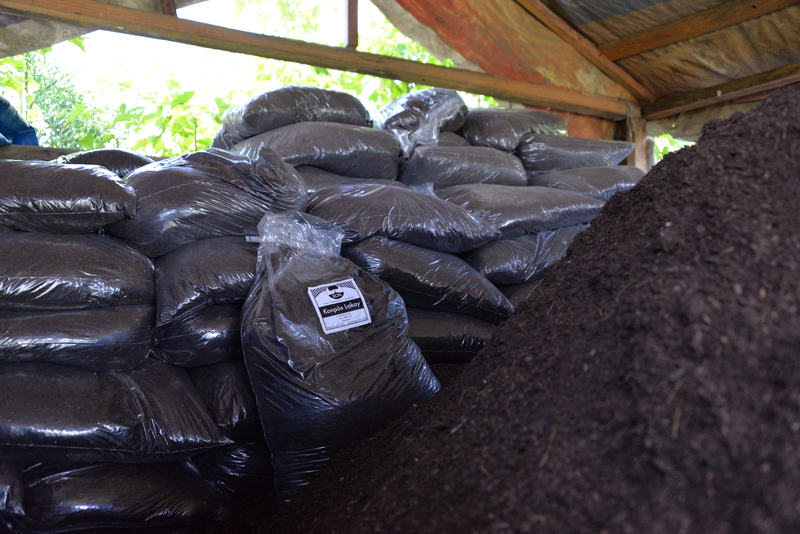 We’re thrilled that our compost is getting into the hands of the people who need it and know how to use it. Not only does compost increase harvests, it is great for water retention, soil restoration, and it even stores carbon. Which means that with every sack of compost that SOIL sells, Haiti is becoming a little more resistant to droughts, floods that wash away topsoil, climate change, and food insecurity. And SOIL is working to make compost good for the economy, too! Our compost sales help recover costs for our waste treatment facilities. While we aren’t earning a profit yet, working towards a sustainable business model means economic opportunity for more Haitians. The road of business development is long, but the amazing demand for our product is giving us so much hope for the future. And for those of you who might have been panicking at the thought of no more SOIL compost for purchase – have no fear! We’re producing 2.5 tons every month, so contact us to get your name on the waitlist! 2 Replies to "Konpòs Lakay Sales Take Off"
Your compost is magnificent. Please add my name to the waitlist. thank you! Rose-may, we’d be happy to! Can you use the contact form (us the link at the top right) so that we know which office you’d like to purchase from, as well as an estimate of how much you think you’d like to purchase? Thanks so much!